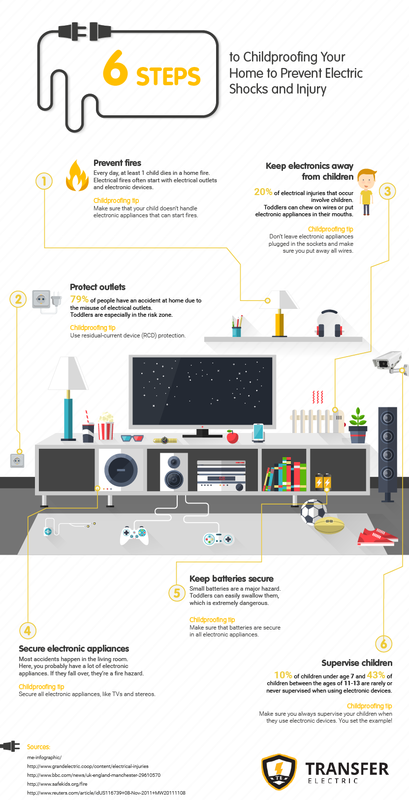 Transfer Electric created an infographic to to help you protect your children from electrical shocks in your home. These are often overlooked steps that can prevent dangerous shocks and injury. It’s extremely important to ensure that you take the right steps to protect your children by using RCD Protection, securing all electrical devices, and ensuring that you supervise your kids while they’re using electrical devices. Use this infographic as a quick and easy guide to help you keep these principles in mind.